The leaves are from a burning bush. Finding good leaf specimens is a challenging task. I hand-selected these and brought them into my studio. If you are familiar with burning bush leaves, you know that they have a strong curl – which makes them very difficult to layer. An overnight book-pressing resolved this problem, but the blemishes remained. 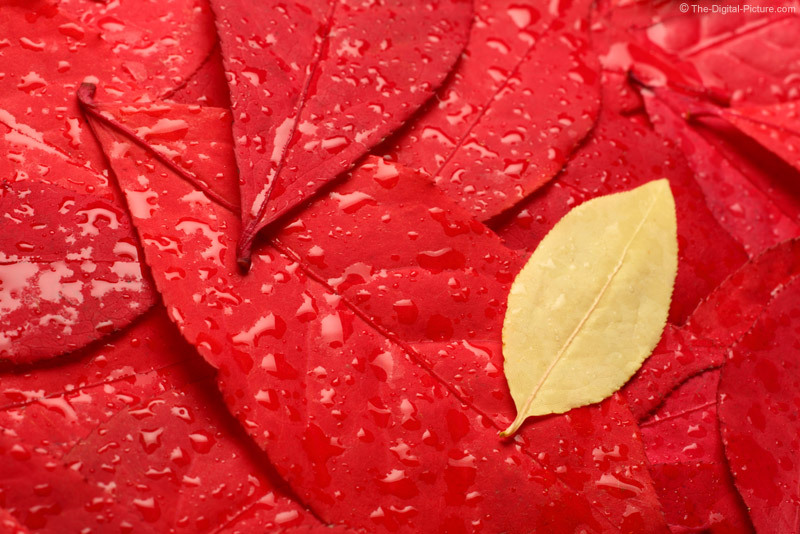 Even the most-perfect leaves usually have some imperfections. Spraying the leaves with soft-box-reflecting water drops hides many of these imperfections and the Photoshop clone stamp tool handled the removal of the few remaining spots. Earth Day Deal at Lensrentals!